The Zebra PS20 is a personal shopper for highest demands. It is designed to satisfy customer needs in any kind of store and in self-service areas. Based on the MC18-model, it is equipped with a bunch of features and comes with Android 8.1 Oreo. This device is very rugged and features all that is needed to boost your business by providing an individual and smooth shopping experience. Experience the next generation of shopping assistants – the PS20 by Zebra. Due to its backward compatible 3-in-1 cradle, the PS20 can either be put into the cart mount by using the hands-free mode or it can be conveniently taken out of the cradle as well.) It impresses with a long life cycle which maximizes the ROI and ensures a low TCO. The terminal is Android based (8.1 Oreo) and the next two generations are supported. Google Mobile Services (GMS) is integrated. 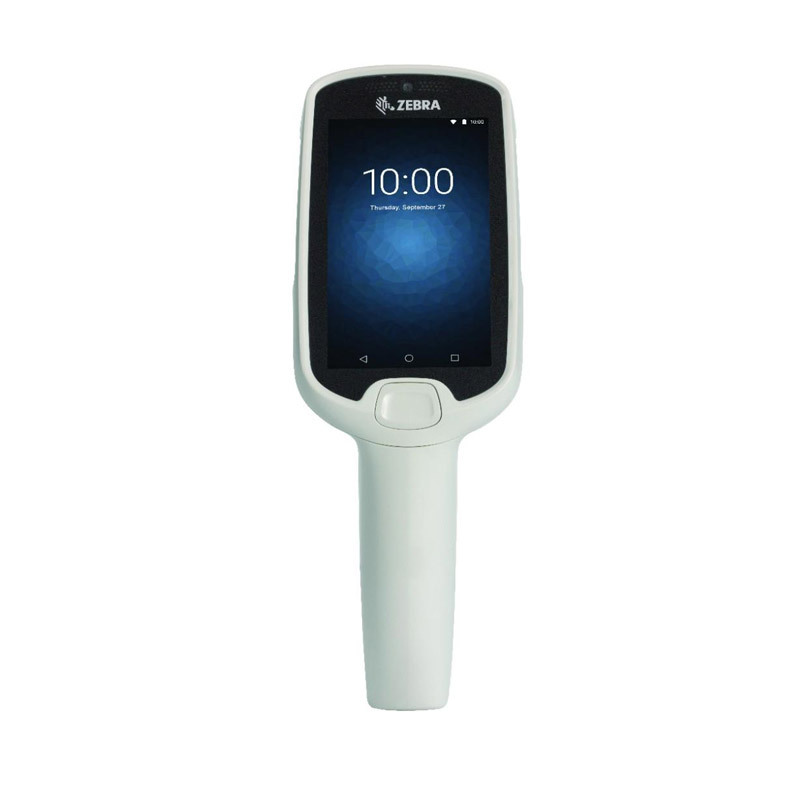 Zebra’s PS20 shopping terminal offers multi-touch operations due to advanced touchscreen technology and it’s 4’’ HD display, which can be used even when wet or under bad lighting conditions. The Corning Gorilla Glass is scratch resistant. For outstanding connectivity, the device is equipped with Bluetooth 5.0 BLE and superior Wi-Fi (802.11 a/b/g/n/ac/d/h/i/r/k/v/w). Zebra’s Mobility DNA is included and the provided apps help to simplify device use and management. The PS20 by Zebra can handle several drops and tumbles. This extremely rugged shopping assistant can therefore be used in any kind of environment. The operating temperature ranges from -10 °C to 50 °C, which allows operation outdoors or in refrigerated areas. With the PS20 you can read out all kinds of barcodes (1D/2D) as well as Digimarc. It scans coupons and loyalty cards easily, even off screens. A 5-megapixel front camera and microphones are integrated enabling PTT communication. The PS20 by Zebra is made for reliable operations and will help you to increase productivity.